London is a sprawling metropolis of the world’s most famous museums, monuments and historical buildings, a cultural capital with everything from bohemian districts to modern art enclaves. 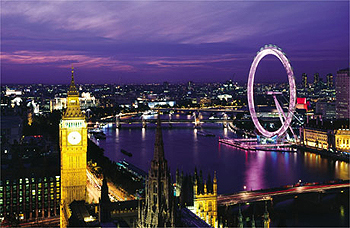 But with the exorbitant prices, most travellers don’t spend more than a few days in London. The good news is that, even though London is one of the biggest cities in the world, its main attractions are concentrated in the city center, easily accessible via the tube. In just three or four days, you can fully explore the city and get a good sense of what London is all about. Let’s start in the heart of the city at Piccadilly Circus. As seen in many movies and films, this prominent spot is surrounded by giant neon screens and the city’s oldest buildings. As this is right in the center of the city, hotels in the area are extremely expensive. Those looking for a centralized location and affordable prices might like to book a hotel around Green Park, Russell Square or Covent Garden, all of which are within walking distance from the major attractions. From Piccadilly Circus, stroll through the busy streets of downtown London towards Leicester Square, home to red carpet movie screening and the city’s most famous restaurants and bars. By night, the entire area is pumped up with energy and is one of the best areas in the city to party. London’s Chinatown is also located near Leicester Square, so if you’re craving oriental cuisine, you know where to find the best in town. Oxford Street, the trendiest, hippest shopping district in London, is filled to the brim with fashion boutiques and shopping chain stores. It’s just a five-minute walk from Piccadilly Circus. Nearby, you’ll find majestic monuments at Trafalgar Square, where the famous lion statues and the National Art Gallery are located. For culture vultures, there is no shortage of internally acclaimed museums in London, and most of them are free to enter. The National History Museum has a galore of artefacts on display and information on dinosaurs and aeronautical history. Other museums worth visiting are the British Museum, with impressive mummies on display, and the Tate Museum, for lovers of contemporary art. If you’re looking to see a different side of London, head over to Camden Market—clustered with funky clothes shops, gothic styles and quirky boutiques. It’s quite an eye-opener and makes an excellent place to wander around on a Saturday afternoon. Another place of interest is the Portobello Road Market on Sundays in Nottinghill. Bohemian travellers will be enthralled by the rows of antique stalls and vintage flea markets. The best way to end your short visit to London would be a boat ride on River Thames. It’s a great way to take in views of London from the water, especially in summer. The boat ride takes you through London’s major landmarks such as the Big Ben, Westminster Abbey and the London Eye.